Televisions have come a long way from the black-and-white boxes of the early 20th century. Today's TVs can broadcast in stunningly clear high definition, connect to the Internet, and communicate with your other electronic devices. Most of all, TVs are now following the common movie trend of also broadcasting in 3D, making the images you see feel like they're coming to life. 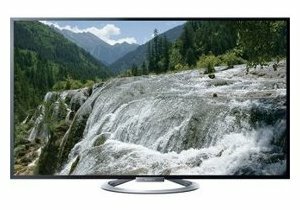 To help you decide which 3D television is right for you, we've compiled a list of the top 3D TVs on the market, all of which were tested and recommended by Consumer Reports. What Is a 3D Television? A 3D TV is a television set that has the ability to convey depth perception. 3D TVs can utilize a number of different technologies to achieve this effect, including active shutter or polarized 3D systems which require the use of 3D glasses, or an autostereoscopic system which does not. Modern 3D TVs are typically top-of-the-line and include a number of additional features such as USB connectivity and access to Internet, various apps, and other services. 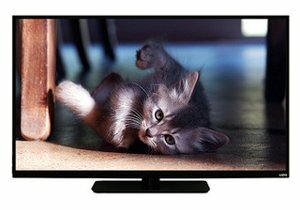 The 50-inch Vizio E500d-A0 3D television is part of Vizio’s entry-level series of televisions, but don’t let that fool you — this model still offers excellent picture quality and viewing angles that are higher than average for LCD TVs. Additional features of this model include an LED backlight, access to Vizio’s smart TV system, built-in Wi-Fi and the ability to download apps and stream shows and movies from various services. The television set also comes with two pairs of 3D glasses. Currently $678.00 on Amazon. 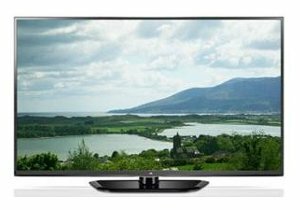 The Sony Bravia KDL-47W802A is a 47-inch, 3D-capable television from Sony that offers great high definition image quality. Aside from the image quality, users enjoy the sleek design of this Sony 3D TV. This TV also includes a large number of additional features including Sony’s smart TV platform, built-in Wi-Fi, a web browser, and access to streaming shows and movies through a number of different services. Additional technologies on this TV set include the ability to display content on your smartphone to the TV set (via a wire or wirelessly) and NFC capabilities for use with an NFC-enabled remote. Currently $1,098.00 on Amazon. The LG 47LA6900 is a 47-inch 3D TV that earned high marks for high def picture quality, 3D performance, and sound quality, making this a fantastic television set based on viewing quality alone. 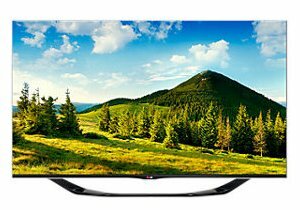 However, it also comes with many other features including an LED backlight, Wi-Fi, a dual-core processor, and LG’s smart TV platform. Plus LG’s gesture-based Magic Remote has a microphone for voice commands. Finally, additional technologies allow you to display content on your smartphone directly on the TV screen, and are capable of pairing with NFC-capable devices. Currently $936.81 on Amazon. 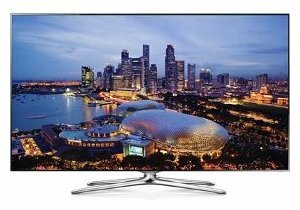 The 55-inch Samsung UN55F7100 offers fantastic high definition image quality as well as great 3D performance. On top of its high performing image quality, its 240 Hz refresh rate does a great job of reducing motion blur. Additional features include Wi-Fi, Samsung’s smart TV platform, an app market and video streaming through multiple different services, and a touchpad universal remote with a microphone for voice control. Currently $1,697.99 on Amazon. A Consumer Reports Best Buy, the 60PH6700 is the top plasma model for LG of 2013. This 60-inch 3D TV brings great image quality and an abundance of extra features for a relatively lower pricetag. It comes with all of the extra features seen in the other 3D LG television featured on this list, such as the company’s 3D platform, access to streaming services, and the gesture-based Magic Remote. Currently $999.00 on Amazon. 3D TV is dead. Don't waste your money. It has gone the way of the Betamax.